While the name M. B. Shaw is unfamiliar to readers, the author behind the moniker may not be. Tilly Bagshawe burst onto the literary scene in the mid-2000’s with some family-saga style novels reminiscent of works by the likes of Barbara Taylor Bradford and Judith Krantz. More recently, Bagshawe has been tasked with continuing the legacy of Sidney Sheldon by writing sequel novels featuring his most iconic heroines. Now, with Murder at the Mill – and under the nom de plume M. B. Shaw, Tilly Bagshawe has written her first traditional mystery novel and readers will be delighted. 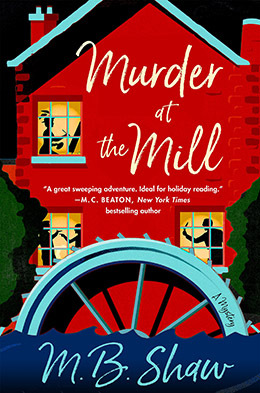 Murder in the Mill is a quaint British village-style mystery that will appeal to fans of M. C. Beaton, G. M. Malliet, and the Dame A. C. (Agatha Christie) herself. Shaw carefully straddles the line between traditional and cozy with such aplomb that fanatics of both sub-genres will be completely satisfied. Murder in the Mill gets off to a bit of rocky start. Beginning with a prologue that foreshadows the eventual discovery of a dead boy is anything but subtle, hardly original, and never all that effective – but fortunately, this is only a minor stumble and it is over in just a few pages. 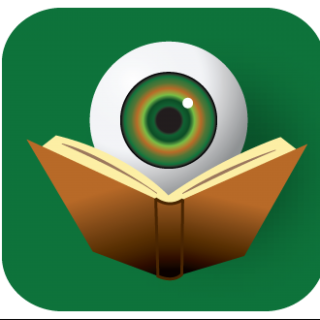 From there moving forward, this charming book will capture readers under its spell until the culprit is exposed. At the center of the story is Iris Grey, a painter who has taken up residence in a rented cottage near the grounds of the Wetherby Estate in Hampshire. Because they own the property, Iris has various interactions with members of the Wetherby family and is eventually commissioned to paint a portrait of the patriarch, Dominic Wetherby. Dominic is the author of an extremely popular mystery series that will be ending with the release of his next book. As they near the annual Wetherby Christmas Eve party, Iris notices that tensions are running high around the Estate. She witnesses more than a few dramatic interactions and wishes that she could turn down the invitation to this over-the-top holiday celebration. When the youngest member of the Wetherby family – a boy name Lorcan, who has Down’s syndrome – discovers a body down by the lake, the question becomes: Was this a suicide, a horrible accident, or something far more vicious? As a painter, Iris has a keen eye for detail and quickly her curiosity begins to control her decision-making – throwing her into the midst of an amateur investigation. Between the chatty villagers, the disgruntled family members, and the victim’s own questionable decisions, there is no shortage of clues for Iris to weed through – and no lack of suspects either. Each of these supporting players is brought vividly to life and their names alone are enough to enchant readers. Iris is a wonderful character and readers are going to enjoy getting to know her – faults and all. Murder in the Mill is the launch of a series featuring Iris, so the good news is that she will have future escapades on which her new fans can join her. For now, this is the perfect read for this holiday season.